Hello Technique Junkies Stamps Peeps!!! 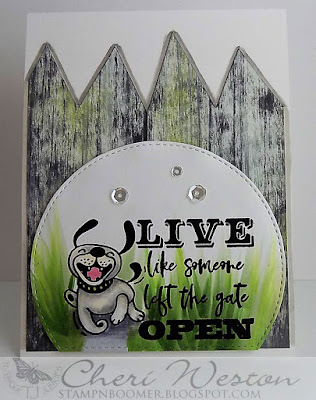 Welcome to the Technique Junkies Stamps April 2019 Release!!! All the new stamps from this release are on sale (15% off) until April 8. No code needed, all the stamps are discounted. 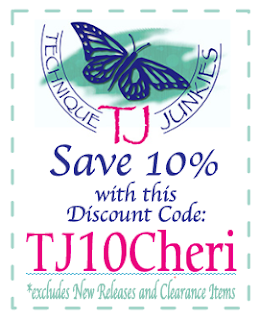 All other stamps you might want and some supplies (including the Shimmering Bliss sprays) can be purchased with a 10% discount using my personal discount code TJ10CHERI. 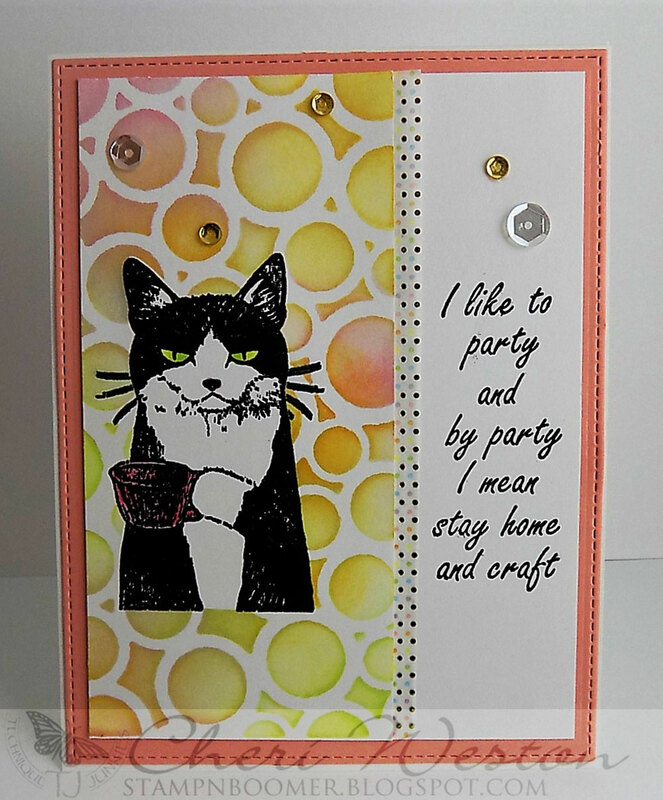 For the entire month of April, if your order totals $30.00 (before taxes), you will receive the "I Like to Party" stamp FREE with your order. No need to do anything...it will be included in all orders totalling $30.00. 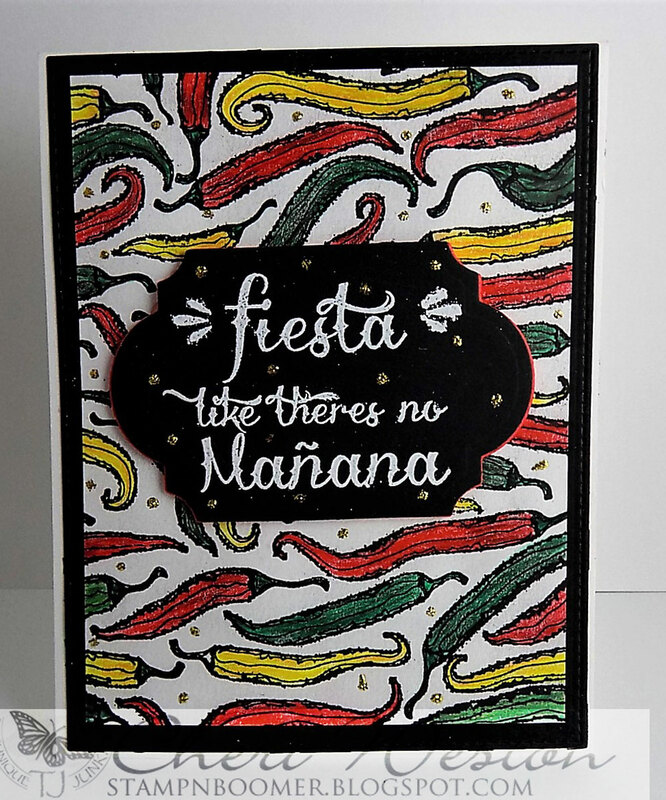 Here are some cards I've created using the some of the new stamps. 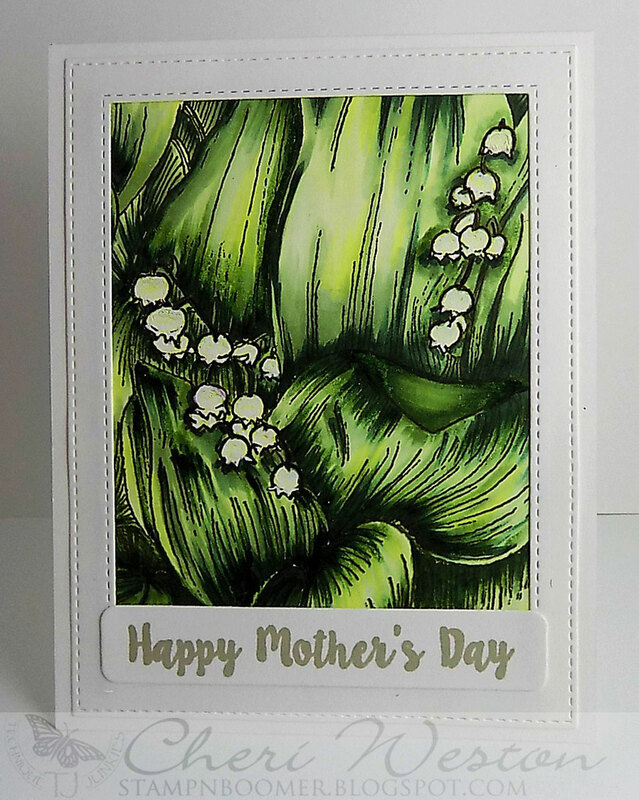 "Lily of the Valley Background" and "Happy Mother's Day"
And the sentiment here is your free gift with a $30.00 order. I paired it with "Coffee Kitty" on this card. Here are the blogs of the entire design team. Hop on over to each one of them for tons of inspiration and creativity. Thanks for stopping by today. Enjoy the 15% discount for all the April Release stamps and don't forget the free stamp with a $30.00 order, and of course, my 10% discount code can be used on all other stamps and some supplies. 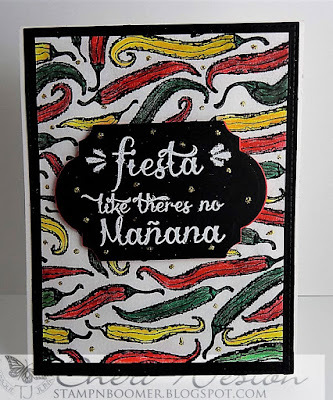 Oh, Cheri, these cards are all so very beautiful, and unique. One can see the time invested in the making of these. 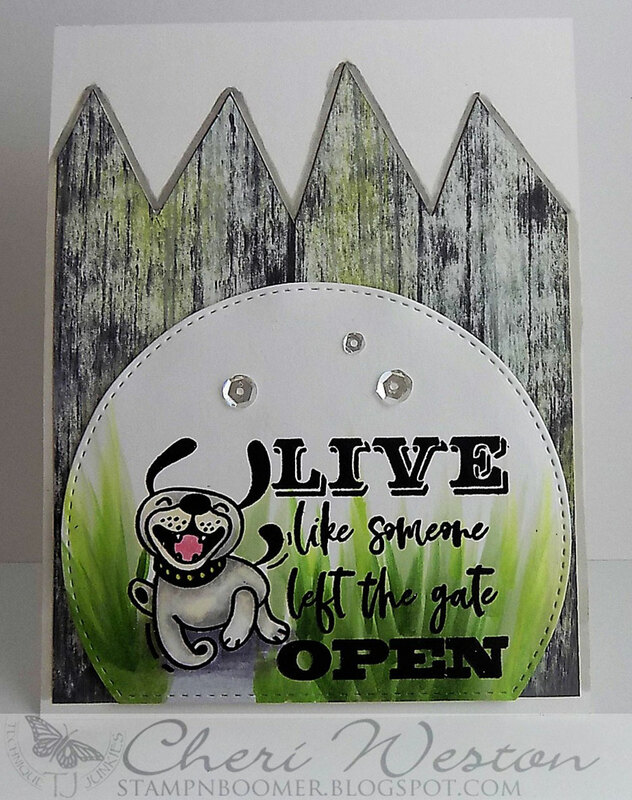 Love your multi-coloured hot pepper, the way you coloured your Lily of the Valley so well, the fence with the doggie, and that cat is just perfect for this sentiment. All are so nice, Cheri.